August | 2011 | Linden Optometry A P.C. Linden Optometry, P.C. will host a Fashion Eyewear Trunk Show on Saturday August 20th, from 10:00 AM to 5:00 PM, featuring the newest Designer Eyewear and Sunglasses for Fall, including Coach, ck, Nike, Michael Kors, Diane von Ferstenburg, and Emilio Pucci. Shoppers will have the opportunity to try on over 10,000 pairs of sunglasses and eyeglasses from these and other designers. 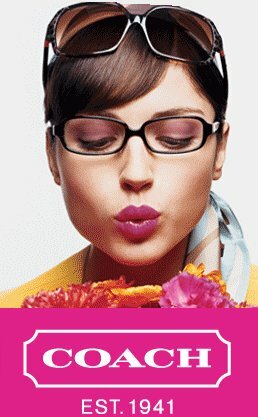 Fashion Consultants will be on hand to help you select the eyewear that brings out the best in you! A drawing will be held at 5:00 PM, and one lucky shopper will win a pair of COACH, NIKE, or CK SUNGLASSES! (includes non-Rx sun lenses; total value up to $200). The Coach Eyewear Collection is based on the fundamental principles of distinctive American style and enduring quality. The collections provide clean, modern shapes with classic styling and proprietary Coach treatments. Michael Kors presents prescription frames that offer style, precision, functionality and innovation. CK is one of the most recognized fashion brands in the world, while Nike Vision continues to be the preferred eyewear choice for running athletes across the country and the world. Refreshments will be served at the trunk show. Free Parking in the rear of the building, located at 477 E. Colorado Blvd, Pasadena. About Linden Optometry: Linden Optometry, P.C. is a full service vision-care center, offering designer eyewear and sunwear, eye exams for the entire family (from infants to seniors), contact lenses, and treatment of eye infections and minor eye injuries. Linden Optometry has won the “Best Eyewear in Pasadena” award 16 years in a row, voted ” #1 Fashion Eyewear in L.A.” by MyFoxLA, and voted #1 Optometrist by Pasadena Star News. Founded in 1956, Linden Optometry has become a destination spot for fashion shoppers from all over Southern California.